Soaring temperatures have given the retail sector a €27m boost, according to the latest figures from market research firm Kantar Worldpanel. 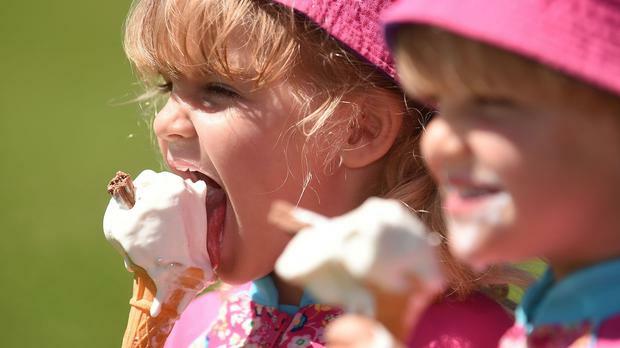 Ice cream sales are up 12pc, barbecue foods are up 10pc and sun care products are up 8pc, compared to the same time last year. Tesco has retained top spot for market share among Irish supermarkets, the figures covering the 12 weeks to the end of June 17 reveal. The British retailer has 22.4pc of the market, with SuperValu on 21.8pc and Dunnes Stores on 21.7pc. Kantar Worldpanel director David Berry said: "with hot, sunny weather comes barbequing, sunbathing and socialising – and this has had its impact on the grocery market. Sales of ice cream, barbeque foods and sun care products have rocketed…alcoholic drinks have also experienced a surge in demand – cider has seen impressive growth of 14pc and beers and lagers are up 5pc. " "The influence of the hot weather on sales of summer essentials looks even more impressive when you compare this to overall market growth at 2.1pc."